Manly is Sydney’s Northern sea-side resort and home of iconic Bronzed Aussies as well as our famous Amazing Races along Manly Wharf to the Corso. Start from The Novotel, Q Station, Sebel or Wine Bars, Pubs, 4 Pines, Ice Creameries, Restaurants, Escape Rooms and Cafes. Embark on a journey in search of Sydney sea-side escapes and beach treasures. 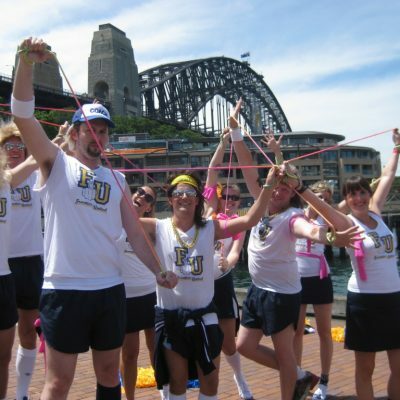 Manly is a thrillingly spectacular location for team building races, ideal 4 corporate groups and special events of 10–100’s of staff and employees looking for quality motivational activities to enjoy together. 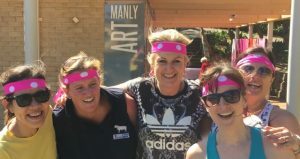 Your professional coordinator launches your Manly Amazing Race from any of the famous Manly locations – directly from the Circular Quay Ferry, 4 Pines Brewery, Manly Life Saving Club or right on the sands of Manly Beach or Shelley Beach. Teams known as Racers bond on an exciting quest, challenging their resourcefulness, skills, communication, cooperation, navigation. Working together, problem solving fun Manly Beach clues. Unlocking clues, deciphering cryptic messages. Interacting culturally, physically, creatively and intellectually. 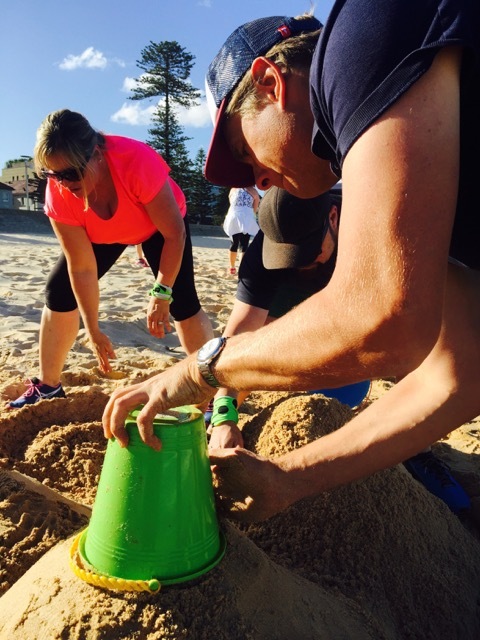 Engaging in a variety of fun activities, games, puzzles around Manly Beach. Once the Activity challenges and tasks are accomplished its onto the next checkpoint. 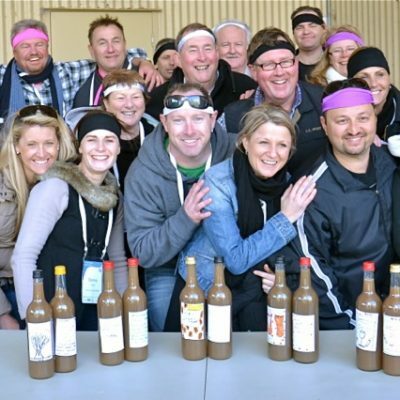 The focus of the Manly Amazing Race format can be customised to your business teams, staff, employees and corporate groups requirements. From #1 superb fun competitive #2 Manly Mystery Mix or #3 Team Building sensation with a collaborative activity for all at the Roadblock to #4 Explore linking Sydney to Manly and #5 WOW Manly, whilst discovering Manly best seaside secret locations and bars! 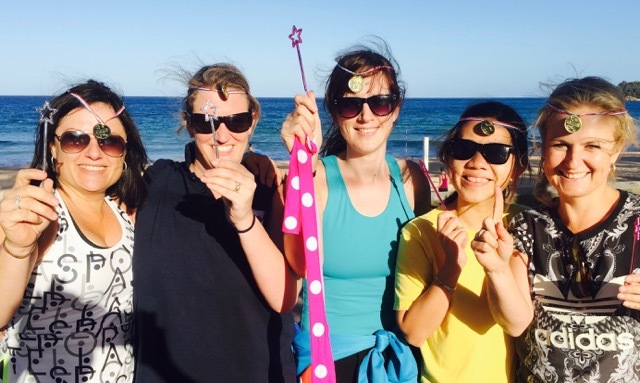 Teams may complete activities such as Manly Surf Verse, Sand Sculpting on the beach, doing the Hula Hoop Mojo with lots of laughs. Serving Up Ice Creams. Circumnavigate or perambulate the Manly Corso to Manly Wharf. Dive for clues at a ‘Its a Knockout’ Stand Up Paddle Boards Polo Competition, Dragon Boating, Iron Man Races. Uncover secrets at Shelley Beach, Sculpt the Manly sands like Suchomlin! Perform a Rescue next to Manly Surf Life Saving Club. Write a poem in the sands of South Steyne, Scarper up the The Esplanade. Jump through hoops by CopenHagen Ice Creamery. Get into the famous Surf Culture stores of Quick Silver and Surf Dive n Ski and much more be-sea-side! A series of Manly Activities with checkpoint registrations hosted and facilitated by Amazing Race staff are navigated to. Here your team will receive your next Challenge. Ultimately teams accomplish amazing tasks and team challenges that includes everyone. The final Pitstop is the reward for competition success. Only gained through team tactics of cooperation, strategy, wits and style. 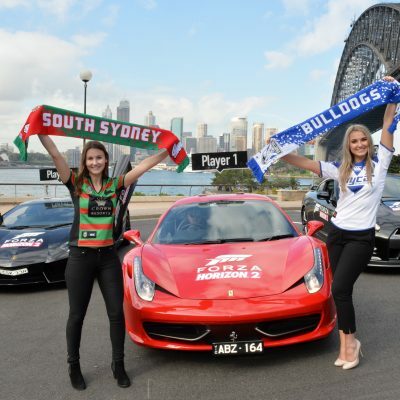 Once all challenges are completed teams reconvene at Manly Wharf , Q Station, Boilerhouse, 4 Pines Brewhouse, Donny’s Bar, In Situ, Novotel or The Steyne Pub to be awarded the Manly Amazing Race Champions Trophy and novelty prizes. Fun team performances are complimented by awards and presentations at the grand finale. A winning Manly Beach Fun combination!!!!! Or make it a Manly Amazing Race Package! With ice cream eating Challenges, fun physical tasks building sandcastles or sculptures on the beach, beach Volleyball, Manly Ferry, Water Taxis, Jet Boats, Bikes, Roller Blades or Sea Kayak paddling Fun. Finish with celebration drinks at Manly Wharf, Manly Skiff Club, The Wine Bar next to the Sebel, Manly Pacific or Manly Quarantine Station Boilerhouse Bar. Costs: AR provide written quotes – emailed to you. Please complete the Enquiry form for your proposal. We also cover all the Eastern Beaches of Bondi, Coogee and Maroubra for awesome Amazing Races in time for a terrific EOFY, corporate group challenges or a terrific Christmas party event! We love Manly Beach for its amazing races activities that take you into the heart of The Manly Culture. From beach volleyball to sand-sculpting to visiting surf shops along the Manly Corso. Races are briefed and depart from the Manly Novotel, Sebel and the famous Q Station with its quarantine history of ghosts in Spring Cove. We finished with celebration drinks on Manly Wharf! Best fun all round for our team building and team development in Manly! !